To order an official transcript, you must submit a signed request to the Office of Admissions and Records. We have a downloadable Transcript Request form (PDF) on our website, or we have forms available in Admissions & Records, Bldg. 1600. Email your Transcript Request form to lpc-admissions@laspositascollege.edu. Please put "Transcript Request" in the subject line of the email. Transcripts are provided only in response to a signed, written request from the student. Official transcripts will be mailed directly to the designated recipient. Note: The transcript request form may also be used to obtain an official transcript record for personal use. Copies of transcripts received from other colleges and universities cannot be forwarded to a third party. Students desiring such transcripts must request them directly from the issuing institution. 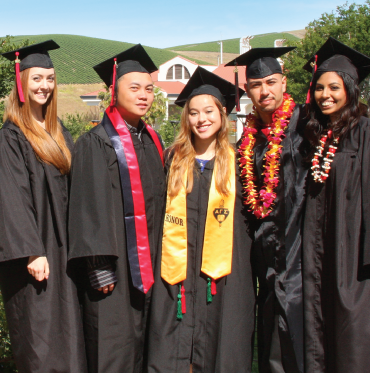 Las Positas College offers regular service and rush service for transcripts. Regular service: processed within ten (10) business days; the first two transcripts are free, each additional transcript is $5.00. RUSH service: processed within two (2) business days; each RUSH transcript is $15.00. This does not include the delivery process of the mail. Please make your check payable to Las Positas College, and include your student W-ID number or Social Security Number on the check. Download and print the Transcripts Request Form. Your unofficial transcript can be accessed online via CLASS-Web. Any transcript history prior to the Summer 1994 term is not displayed online. If you have transcript history prior to Summer 1994 and want to view your full transcript, you will need to request an official transcript via the methods listed above.